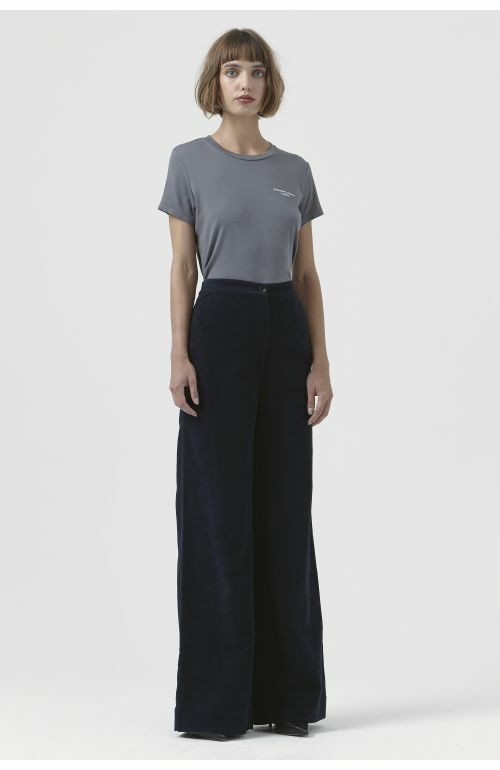 Katharine Hamnett 1974 reissue wide leg camel trouser in moleskin cotton. 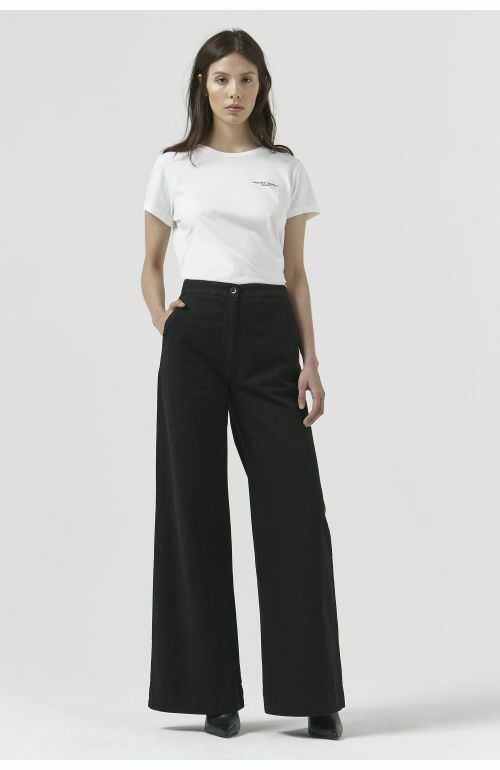 High waisted trouser with zipped front fly and back darts. Made in Italy. The model is 5'9.5"/176.5 CM and is wearing size 27. 100% organic cotton moleskin. Oversized fit, we recommend you choose one size smaller for a more regular fit.